The kids insisted - redemption day has arrived . "SCHOOL IS OUT so get your camera, mom! It's payback time!" 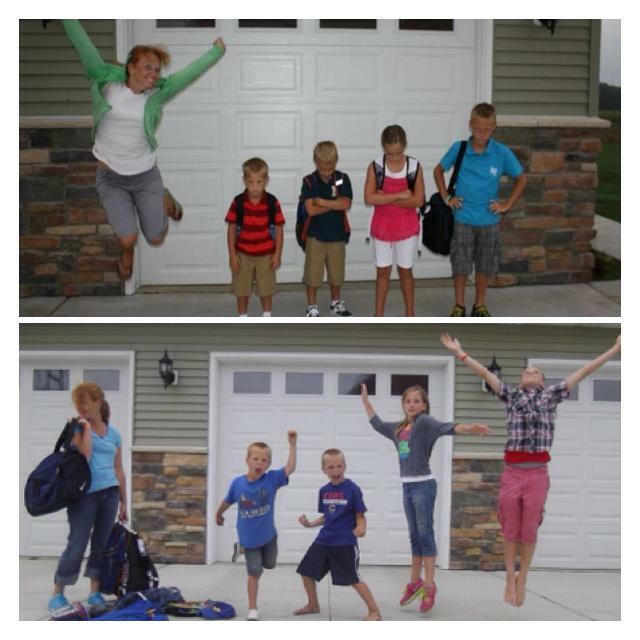 To be honest, I am just as excited as they are, but here it is...First and Last Days of School!